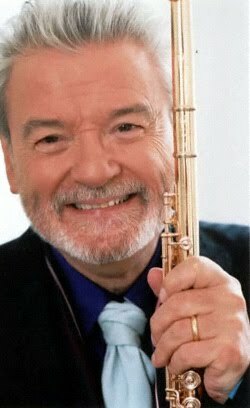 I love how these two essays, that of Sir James Galway (b. 1939) and J. J. Quantz (1697 - 1773), although over three centuries apart, tell us the exact same information. See below. I think a Galway follower* would have a really hard job of copying me.In fact a Galway follower has more to follow than the average flute player. First of all they have to have a grasp of the technique on a larger scale. They would have to be able to play with a great staccato, single tongue, double tongue, immaculate scales, a fine touch on the keyboard, a very flexible sound and then they would have to put this all together to copy the larger picture. Supposing there was such a person who could do this. It still would not be an exact copy as there are other things to take into account. The person's background. In my case it was lower working class. Now I don't know anybody with the same background as myself who plays the flute or does anything else for that matter. Most of the people I know who study the flute have a home with hot and cold running water, a real bathroom, a refrigerator, electric light, parents how own at least one car and who are both employed. They are people who have in their early teens a gold flute or a very good flute of a standard that I did not have until I was in my second year at the Royal College of Music. The average student these days is born with a silver spoon in their mouth compared to what I was born with. It was from these humble beginnings that I learned to respect my teacher and to do as I was instructed. I did not go around having one lesson with everyone who would listen and who would take my money for doing so. Having lessons with many teachers is interesting when seen from my point of view. When a student fixes to have a lesson from a teacher they will generally have their attention drawn to the point the teacher himself is having the most difficulty with. When I was studying with John Francis in the RCM, I went to have a lesson with another well known flute player and I came away asking myself " What was that all about?" This well known gentleman had not improved anything I was doing before. It stopped me spending money where it did not bring about improvement. The one thing I was born with and had beaten into was a respect for authority. I had a respect for my teacher which most students today do not possess in this free society into which we have been thrown. Why? Because they are in a different time and place in society. Most of the students question the teaching they are subjected to. I had young students tell me that their teacher said it was better to do such and such a thing like the way they were doing the task to hand. It got to the point that when a student would tell me that their teacher told them how to do something I would just ask them to leave and continue with this teacher who was having such a success. I even wondered why they were standing in front of me in the first place. Gradually I stopped teaching these sort of students and began to teach only in masterclass situations. I had learned that some of these students who would play for me only uses the moment spent in front of me to include my name in a long list of people with whom they had "studied." Now when you see the CV of the average flutist they have at least a half a dozen well known pedagogues included. What did they learn from these people? How did it affect them? Mostly it brought them to a place of residence the player who plays with no character and sometimes an appalling lack of understanding as far as flute technique is concerned has come to reside. The people who study with me at the very least can play the flute to a high degree of proficiency. They know about the embouchure, about scales, about the touch of the fingers on the keyboard, about the position of the hands on the keyboard, about the tone, the flexibility of the lips, and about what the big picture is all about. They will understand the style of playing flute music. In my relation with Marcel Moyse I played all of the Sonorité for him and the first time I played for him was a true eye opener. He taught me how to play with a good projection and musically too. He showed me how to play his books on interpretation which also contain the exercises based on Reichert. He taught me the principle of a good staccato and how to use it in the interpretation. These lessons spent with the great man were lessons for life and I have never forgotten them. May I add here (to those who didn't know that Moyse left text and editions as well as books of exercises), Moyse has written quite a few books of original composition and thought. At the same time I was learning with Moyse there were other teachers who had discovered all sorts of shortcuts to playing the flute. 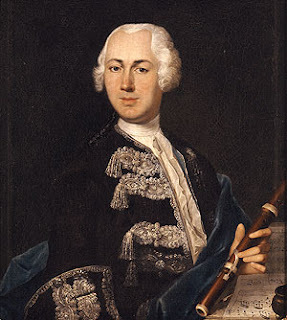 Instead of using a scale method written by someone who was professor in the Paris Conservatoire and who had taught many very good flute players, they would go for the short cut provided and recommended by players who never succeeded on moving the listener or in most cases even having a job in a good orchestra. The ghosts of these people are still active in the flute players who studied with them. They are passing on the shortcuts and even trimming them further. It all boils down to the fact that people do not want to spend so much time in improving their flute playing. There are just too many other distractions. The Internet for one. There we have a subject for another day. Let me finish this letter by saying that there is no shortcut to success. The only way to succeed is to take the method of a really great flute player, in my case it was Moyse, and adhere to their teaching and use their recordings as a role model. I never leave home without a copy of at least two books by Moyse and I am happy to say he made such a great impact upon me for which I a forever grateful. Sir James Galway writing from LA. USA. Now note how the exact same sentiments are made by Quantz in the 1700s!!!! As was not the case when it first came into vogue, we no longer suffer from any lack of pieces through which a student may learn with but slight difficulty the skill necessary on the instrument to control his tongue, fingers, and embouchure. In spite of this, there are still very few who know how to play it in accordance with its nature, and in its proper style. It seems as if the majority of flute players today have fingers and tongues, to be sure, but are deficient in brains, does it not? It is absolutely necessary for anyone who wishes to learn the instrument adequately to have a good master, and I expressly demand it of anyone who wishes to make use of my method. But how many are there upon whom the title of master may be justly conferred? Are not the majority, when closely observed, still students in their science? To be sure, there are some who play the instrument well, or at least passably; many, however, lack the ability to impart to others that which they know themselves. It is possible that somebody who plays quite well knows little of how to teach. Someone else may teach better than he plays. And since a student is not able to judge whether a master instructs well or poorly, he is fortunate indeed if by chance he selects the best. The attributes of a teacher who will train good students are difficult to define in detail, but an approximate idea may be gained from the following list of defects he must avoid. A beginner will also do well to ask the advice of persons who are impartial, yet have insight into music. - who possesses no knowledge of the proportions of the notes needed for playing the flute with correct intonation. - And who is unable to sustain light and shadow through the alternation of Forte and Piano as well as through the graces. The student must avoid a master who is not in a position to explain clearly and thoroughly everything that the student finds difficult to understand, and seeks to impart everything by ear, and through imitation, as we train birds. Avoid a master who flatters the apprentice, and overlooks all defects or who does not have the patience to show the student the same thing frequently, and have him repeat it. Avoid the master who does not know how to choose the pieces that are suited to the current capacity of the student, and how to play each piece in its style. Avoid the master who seeks to delay the student, or who does not prefer honour to self-interest, hardship to comfort, and unselfish service to jealousy and envy; or who in general does not have the progress of music as his goal. Masters with these defects cannot train good students. If, however, one is found whose students not only play truly and distinctly, but are also quite sure in tempo, you have substantial reasons to expect much of him. Whoever wishes to apply himself to music profitably will enjoy a considerable advantage if he falls into the hands of a good master at the very beginning. There are some who have the harmful delusion that at the outset it is unnecessary to have a good master in order to learn the fundamental principles. For the sake of economy they often take whoever is cheapest, and often someone who himself knows nothing at all, so that one blind man leads another. I advise the opposite course. The best master should be secured at the very beginning, even if he must be paid two or three times as much as others. It will cost no more in the end, and both time and effort will be saved. More can be accomplished in a year with a good master than in ten years with a poor one. Although, as has been shown here, much depends on a good master who can instruct his apprentices thoroughly, still more depends upon the students themselves. There are frequent examples of good masters who have trained poor students, and, on the contrary, of poor masters who have trained good students. It is well known that many excellent musicians have distinguished themselves who have had no other master than their natural ability, and the opportunity to hear much that is good. These musicians have advanced further through their own industry, diligence, and constant inquiry than many who have been instructed by several masters. Thus a special industry and attentiveness are also required of a student. Anyone who lacks them should be advised not to occupy himself with music, at least if he proposes to make his fortune through it. No success can be promised to anyone who loves idleness, slothfulness, or other such futile things more than music. Many who dedicate themselves to music deceive themselves in this regard. They shrink from the inevitable hardships. It is true that innate ability and inclination are the primary foundations upon which solid understanding must be built. But thorough instruction, and, on the part of the student, much industry and reflection, are absolutely necessary to erect the entire structure. If a novice has had the good fortune to find a good master at the outset, he must place all his confidence in him. He must be tractable rather than obstinate; he must seek zealously and eagerly not only to carry out and copy what his master prescribes during the lesson, but also to repeat it frequently by himself with much diligence; and if he has not properly understood something, or has forgotten it, he must ask the master about it at the following lesson. A novice must not allow himself to be vexed if he is frequently admonished about the same matter, but must rather take such admonitions as a sign of his own carelessness and of the zeal of his teacher, and hold that master the best who corrects him most frequently. Hence the student may play close attention to his defects; for when he begins to recognize them, half the battle is won. If it is necessary for the master to correct him all too often about the same matter, he may be safely assured that he will have little success in music; for there are countless things which no master will teach him, or CAN teach him, and which he must, as it were “lift” from others. Indeed it is this licensed thievery that produces the greatest artists. The student must not drop anything that has been the subject of much criticism before he can play it as the master demands. He must not prescribe to the master what kind of pieces should be given to him; it is for the master to know best what can be of advantage to the student. If, as I presuppose, he has had the good fortune to find a good master, he must seek to retain him as long as he has need of instruction. There is nothing more injurious than for a student to betake himself for instruction to one master after another. Different kinds of execution and different ways of playing confuse the beginner, since he must, so to speak, constantly start over again. There are many who like to boast of having studied with many great masters, but they will seldom be found to have profited much from it. Whoever runs from one master to another is satisfied with none, and has confidence in none; and no one wishes to accept the precepts of a person in whom he has no confidence. the student with a genuine desire to perfect himself will discover from time to time new benefits that he had been previously unable to perceive, which will stimulate him to further inquiry. Inquiry of this sort must also be warmly recommended to the beginning musician. Industry alone is not enough. He may have good natural ability, good instruction, great industry and good opportunities to hear much of what is beautiful, yet never rise above mediocrity. He may compose a great deal, and sing and play frequently, without increasing his knowledge and skill. For everything in music that is done without reflection and deliberation, and simply, as it were, as a pastime, is without profit. Industry founded upon ardent love and insatiable enthusiasm for music must be united with constant and diligent inquiry, and mature reflection and examination. In this respect a noble pride must prevent the beginner from being easily satisfied, and must inspire him to gradually perfect himself. Anyone who only cares to devote himself to music haphazardly, as to a trade rather than an art, will remain a lifelong bungler. Great blog. I so understand and agree with what Sir Jimmy has to say. I too am a fan of all things Marcel Moyse due to three of my teachers, Jeffrey Zook, Clement Barone, and Eleanor Lawrence. I too have had many students come to me for a few lessons and then moved on to another teacher only to do the same with them. I tell my students that there are no shortcuts. If you want better tone you have to work on it daily and explore as many possibilities as possible. If you want your double tonguing to be cleaner and clearer you have to work on it. Some people only want fragrant comments on their playing, very superficial and expect to get a job. Unfortunately I see this in my university students as well. Thanks for your comment. So true. I wonder if flute students somehow don't suffer from "small band" syndrome. In their high school they were always considered one of the better flute players, but they never exposed themselves to the huge city-wide collection of "better flute players". So, they get complacent thinking that they are already quite good, at least compared to those who play in their own band during the teen years. Then, when they begin flute lessons, they're still unaware that on a scale of 1-10, in flute skills they are actually only a 3 when they thought they were an 8. Little did they know how many flute skills there were, and how long it takes to patiently master each one. It's "the wide world" theory; go out into the wide world and hear the best flute players out there, and then get excited about learning the skills that they have. But if the student remains in their very small world, they don't think these things apply to them. Thanks again for commenting; always helps to get lots of informed commenters discussing a subject like this.